The first underwater tunnel ever built opened in London in 1843, paving a path for cities everywhere to expand beneath rivers and oceans. 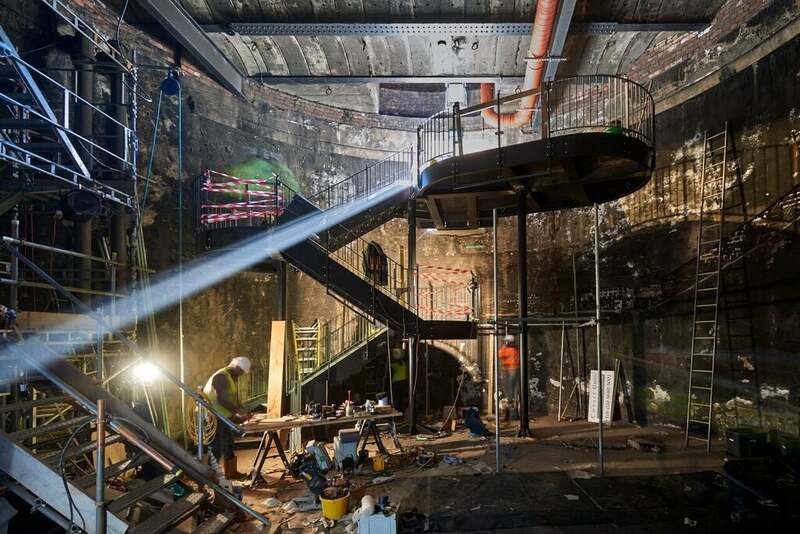 Today, the tunnel's grand entrance hall reopens to the public for the first time in 147 years. 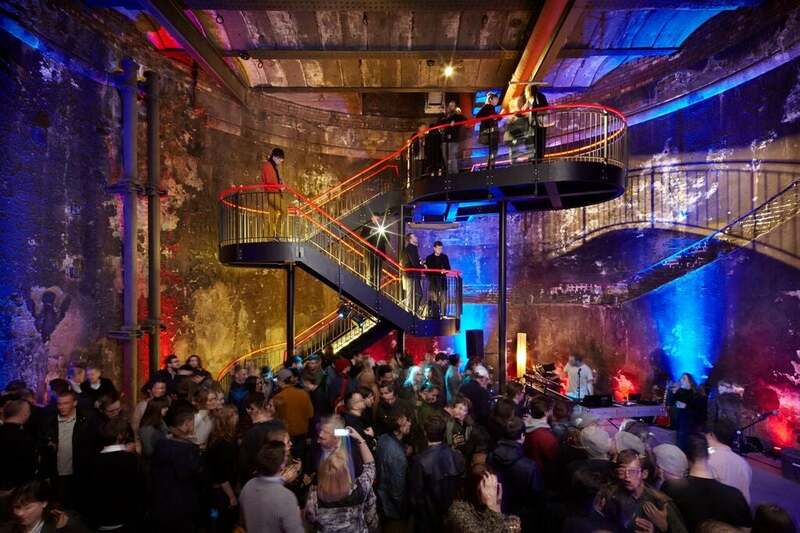 The underground event space is part of an engineering museum that celebrates the famous family who built the tunnel — and much of London. The Thames Tunnel was designed for horses and carriages to travel under the river, though because of financial problems, the approach for wheeled vehicles was never finished. Instead, the tunnel was embraced by pedestrians and became quite the destination in itself, illuminated by gaslights and lined by vendors. Londoners would come here to take an afternoon stroll along the tunnel's 396m length, and it was known famously as the eighth wonder of the world. 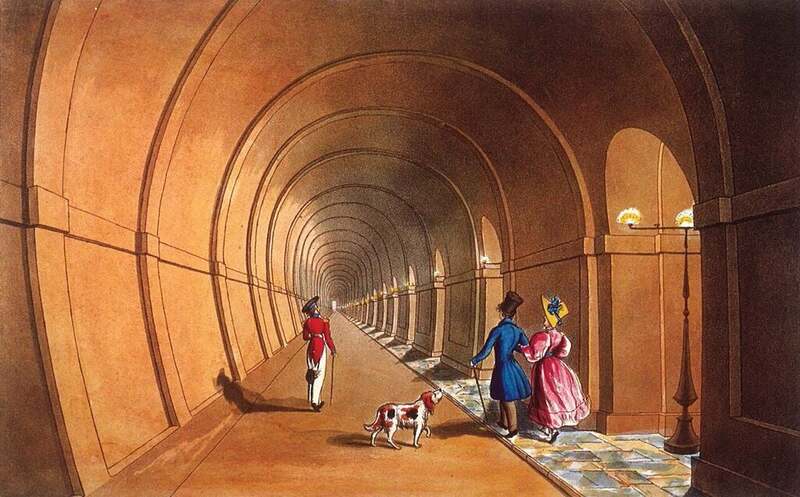 A drawing of Londoners strolling the tunnel shortly after it was opened. About two million people a year paid a penny to walk below the river. By 1869, however, the city's burgeoning rail network took the tunnel over, and it was closed to the public. 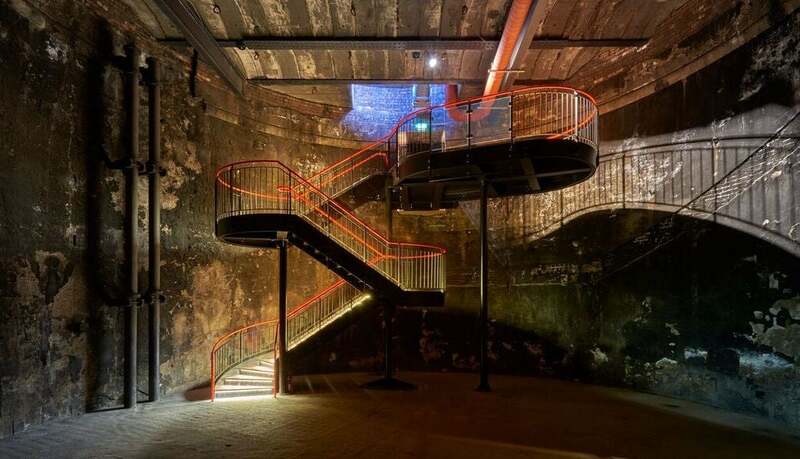 In 2007, the tunnel needed to be retracked, and the Brunel Museum, which honours the legacy of the tunnel's engineers, stepped in to take ownership of tunnel's entrance hall. In 2010, people were allowed to peek into the space for the first time in over a century, and plans were made to transform the space into an accessible venue. 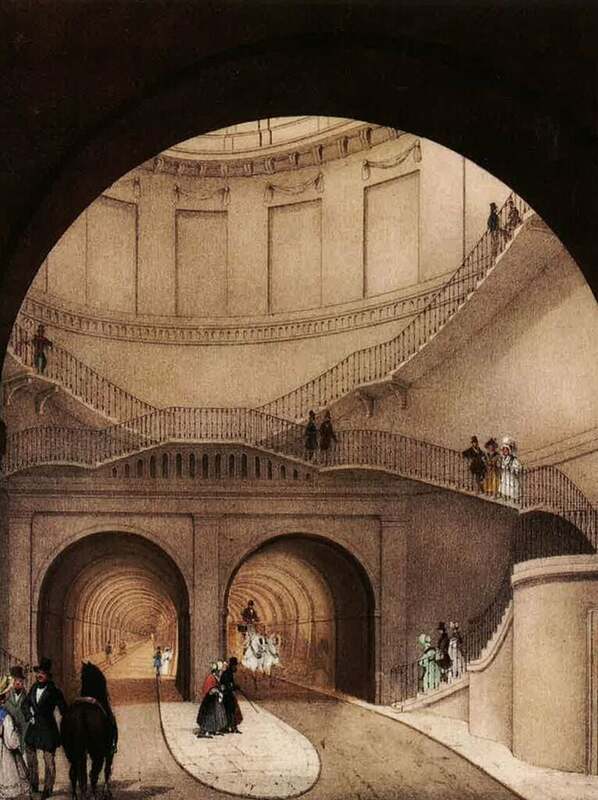 A drawing of pedestrians accessing the Grand Entrance Hall. After a 2010 renovation, a concrete raft was placed above the tunnels, creating the new event space above. Marc Brunel, Isambard Kingdom Brunel and Henry Brunel were three generations of engineers who pushed London to the forefront of infrastructural innovation. Building upon the accomplishments of each other, the engineers were responsible for key elements of the London Underground, the Great Western Railway, Tower Bridge and the modern ocean liner. The Thames Tunnel was one project where they all participated in some way. At the age of 19, Isambard assisted his father Marc, and Henry was actually the first person to walk under the Thames (although technically he was carried through as he was a baby). At the time there had been several failed attempts to build a tunnel under the Thames and the Brunels' plan almost didn't succeed either. The 18-year project was plagued by construction deaths and financial delays. The soft clay led to frequent flooding, so Marc created what was named a "tunnelling shield", where the excavation tools become part of a temporary structure that helps to hold the tunnel in place as it's dug. In fact, what Marc designed became the model for the tunnel boring machines (TBMs) of today, making all future underground rail and vehicle travel possible. The conversion of the tunnel into an event space required some crafty engineering as well. The Grand Entrance Hall of the tunnel is a cavernous 15m wide and 15m deep, yet the only access to the space is a small door at the top corner of the room. Architects at Tate Harmer used what they're calling a "ship in a bottle" approach to build a stairway inside, squeezing the staircase elements into the room piece by piece and assembling them into a freestanding structure that doesn't touch the walls at all. The raw walls, blackened from the steam trains that used to run below the river, were left as-is, making for both a cinematic cultural backdrop and striking reminder of the city's transportation history.